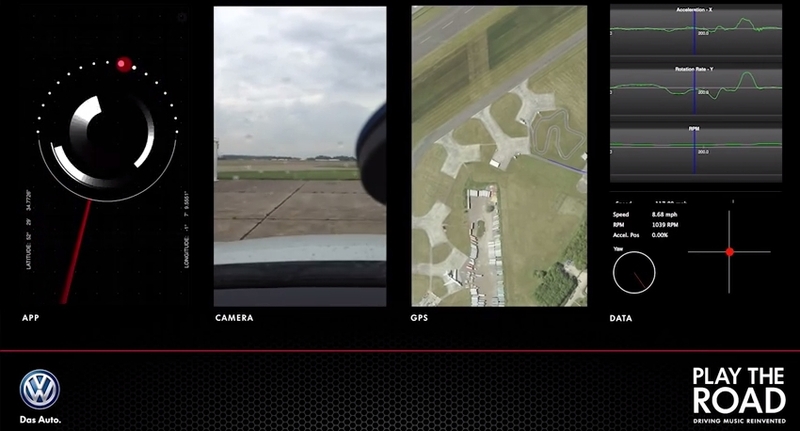 This is the most insanely cool motoring app we’ve ever seen. Produced by Volkswagen and synth duo Underworld, Play the Road pretty much turns your car into a musical instrument as you drive along the road. While the concept isn’t completely unheard of, the app looks like it takes things to the next level. The app, built in celebration of the innovation that sparked the original Golf GTI, gets speed and RPM data from the current model’s on-board computer. The steering acceleration and location data is meanwhile calculated from a combination of the accelerometer, gyroscope and GPS receiver present in the iPhone. The results, as this 17-minute track reveals, sound amazing to anyone who’s ever wished they could compose the soundtrack their own driving experiences. Unfortunately, Volkswagen won’t be releasing the app just yet. Instead it’s inviting people to apply to be part of a series of events where they can “compose” their own recording on a closed course. We’re not saying it does, but we would understand if the German manufacturer has any qualms about putting it on the road in the long run. Five seconds after we showed the videos to the rest of the office, there was much talk about how, um, “silly” the a frustrated musician come petrolhead could get with Play the Road.